Fantastic Beasts! Where to find them? Try the library tonight! 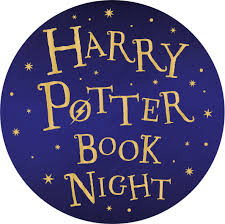 Tonight will see the Fourth Annual Harry Potter Book Night celebrated throughout the world, and the Artesia Public Library is getting ready to host an unforgettable night themed around Fantastic Beasts. The fun kicks off at 6 p.m. today and will continue until 8 p.m. The library will be sharing the wonder of J.K. Rowling’s timeless stories and, most excitingly, introducing the next generation of readers to the unparalleled magic of Harry Potter. Young wizards, witches and muggles will be treated to an evening of beastly games, readings from the Harry Potter book series, and a Beastly Brain-Teaser Quiz. It all begins when the Sorting Hat decides which house attendees will be representing. Houses will compete for points throughout the evening. The library will be decorated, and snacks inspired by some of the scrumptious wizard foods described in the books will be served. 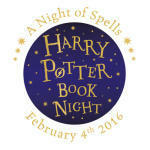 For more information on Harry Potter Book Night: Fantastic Beasts, visit harypotterbooknight.com.